Vocal Selections. 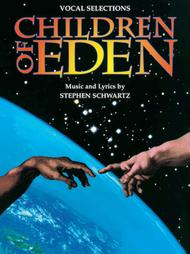 Composed by Stephen Schwartz. Vocal Selections. Broadway, Musicals. Softcover. 88 pages. Published by Hal Leonard (HL.313326). 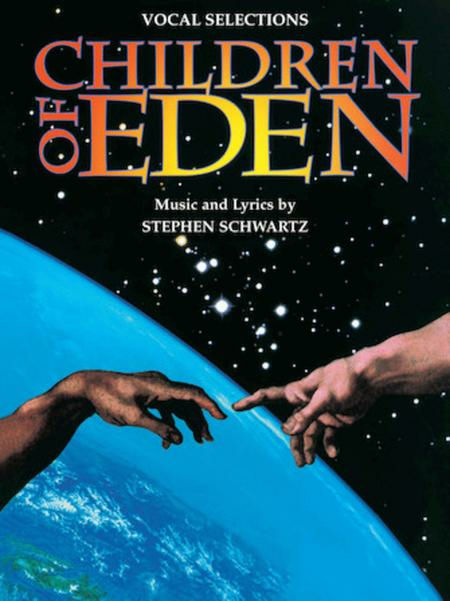 12 vocal selections from the Stephen Schwartz musical based on the Book of Genesis. Includes: Ain't It Good? • Children of Eden • Close to Home • The Hardest Part of Love • In Pursuit of Excellence • In the Beginning • In Whatever Time We Have • Lost in the Wilderness • The Spark of Creation • Stranger to the Rain • The Wasteland • A World Without You. I have been in this musical as one of the storytellers. You'll love it because its funny, for the family, and tells about the Bible. It tells you about lessons in life. If you can, see it !